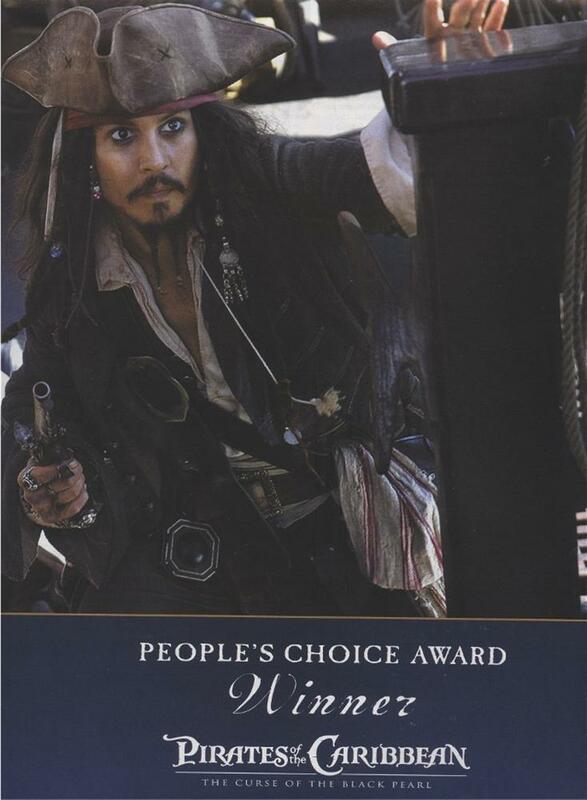 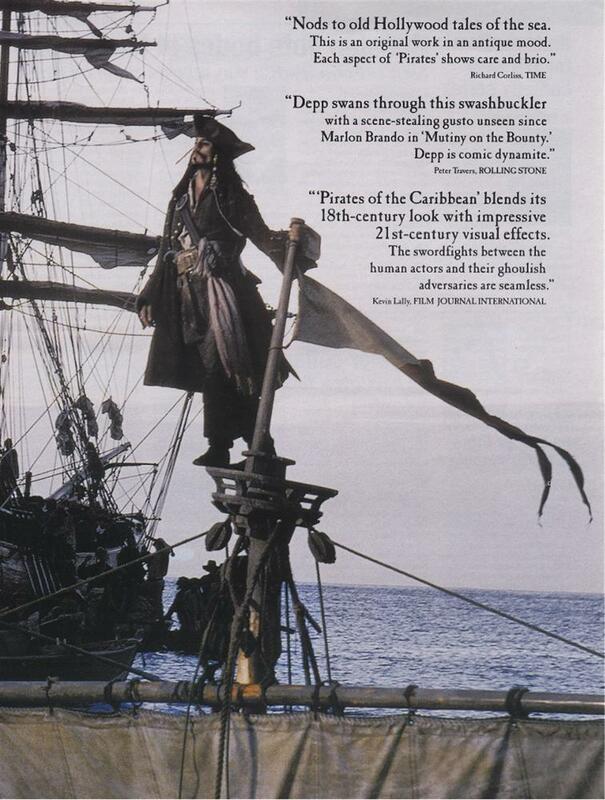 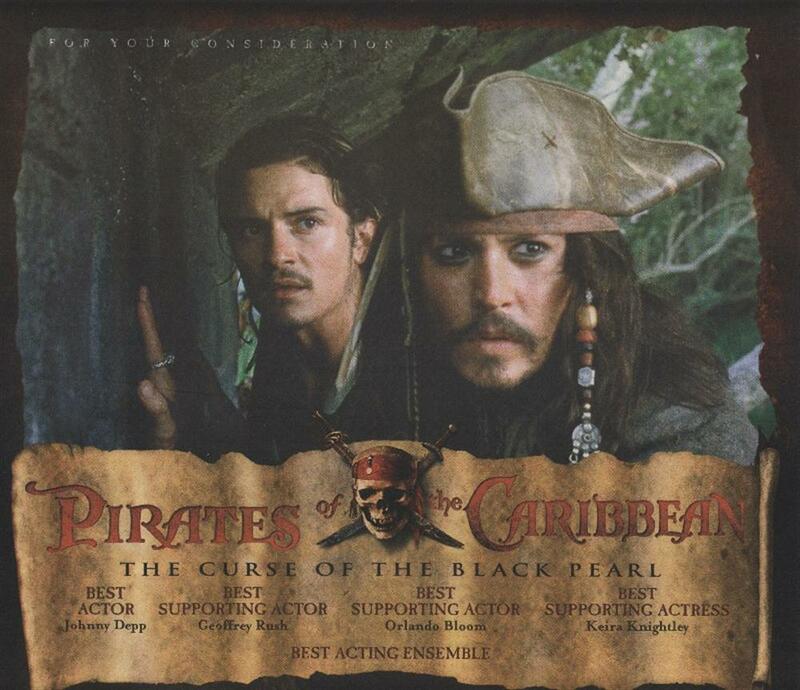 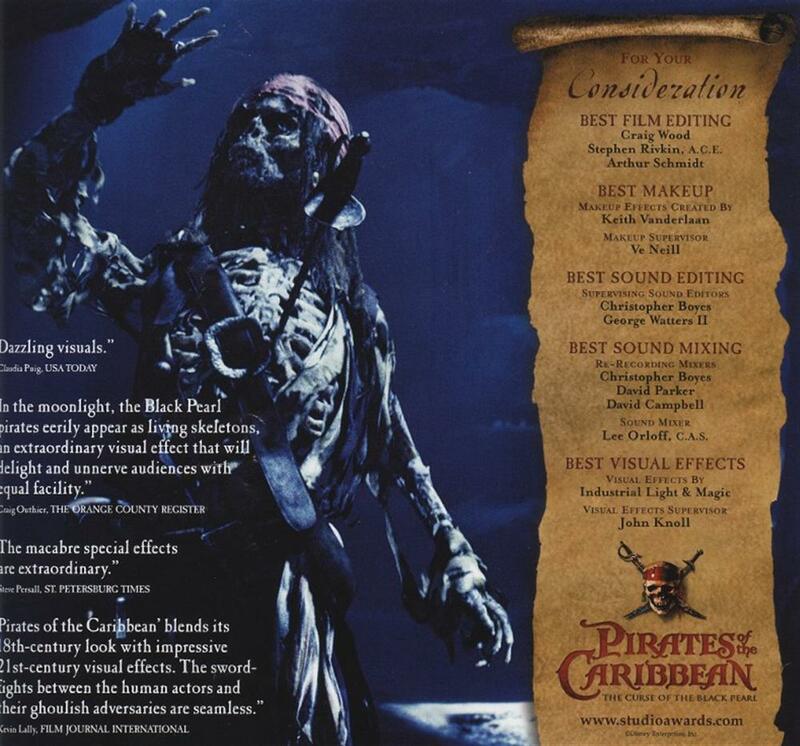 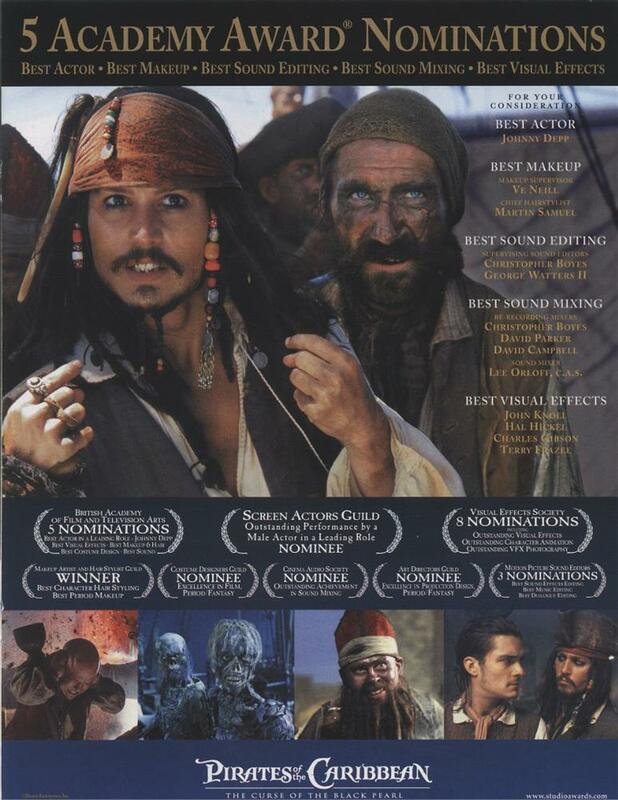 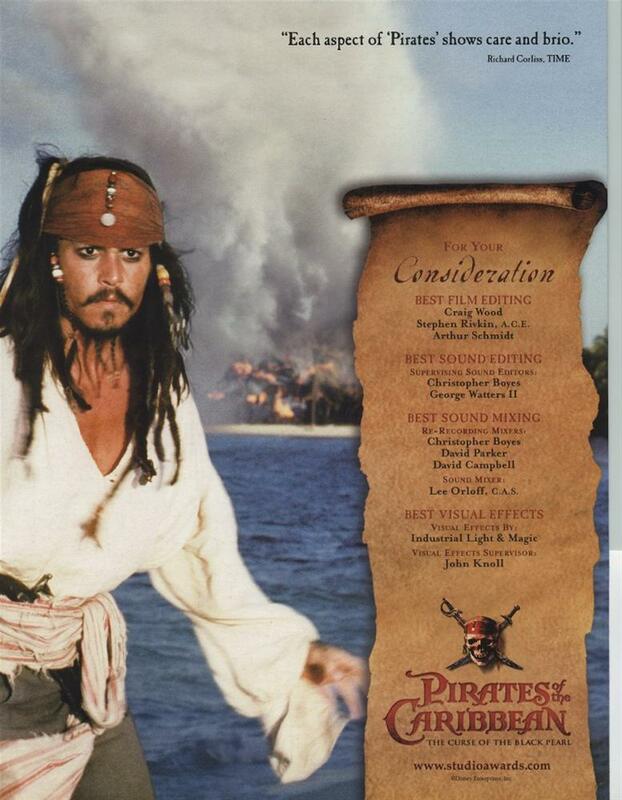 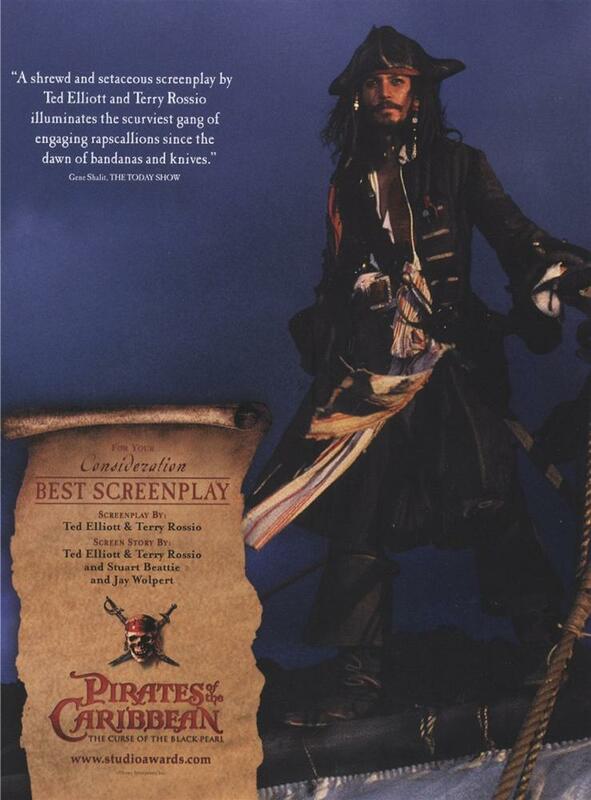 In honor of the first anniversary of the theatrical release of Pirates of the Caribbean: the Curse of the Black Pearl, Sleepy presents her collection of For your consideration ads which ran in movie trade publications, such as Variety and The Hollywood Reporter, during the 2004 awards season. 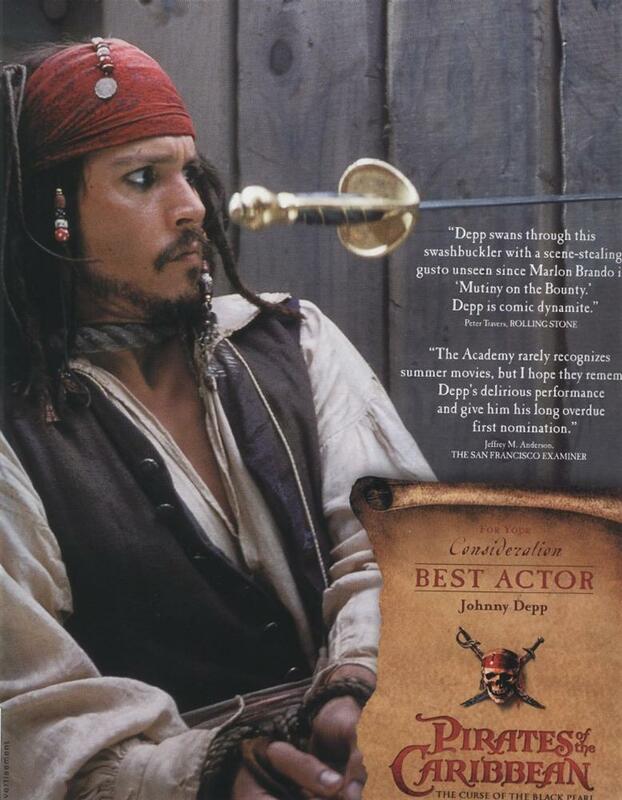 There were many different ads, and they have not been widely seen outside of Los Angeles. 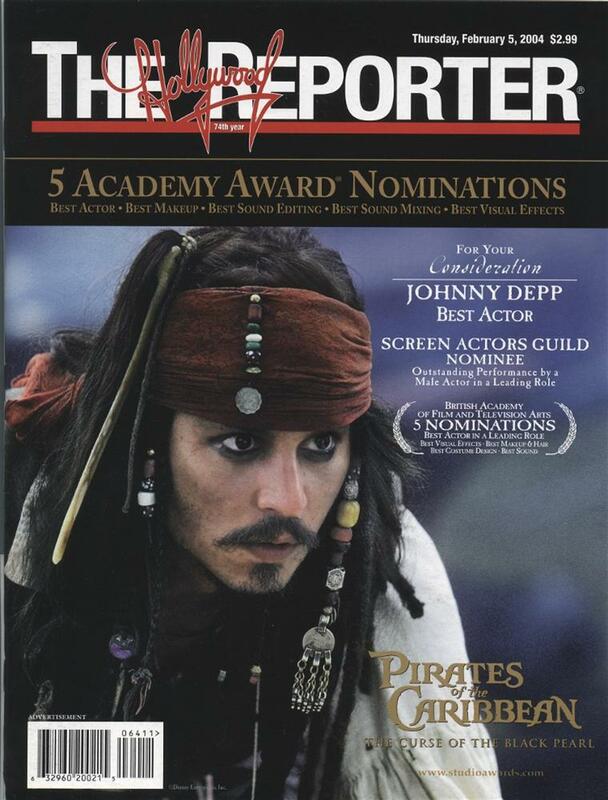 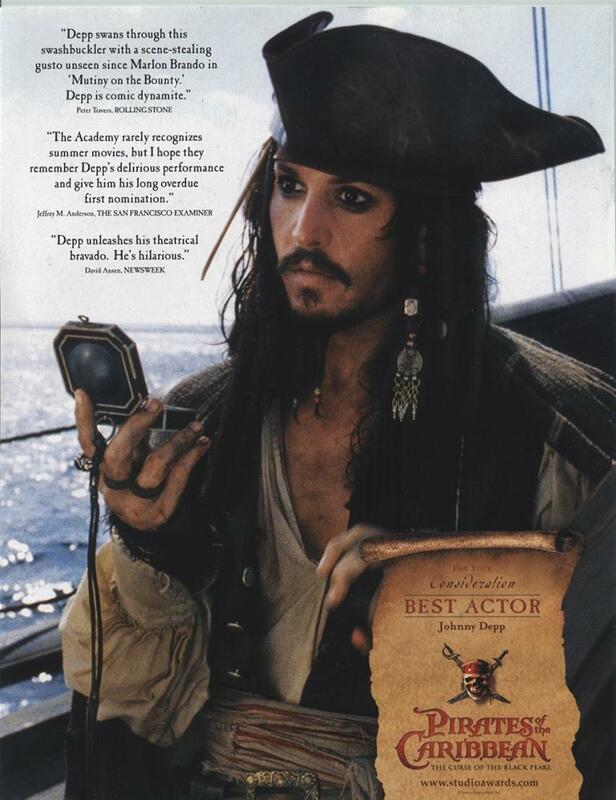 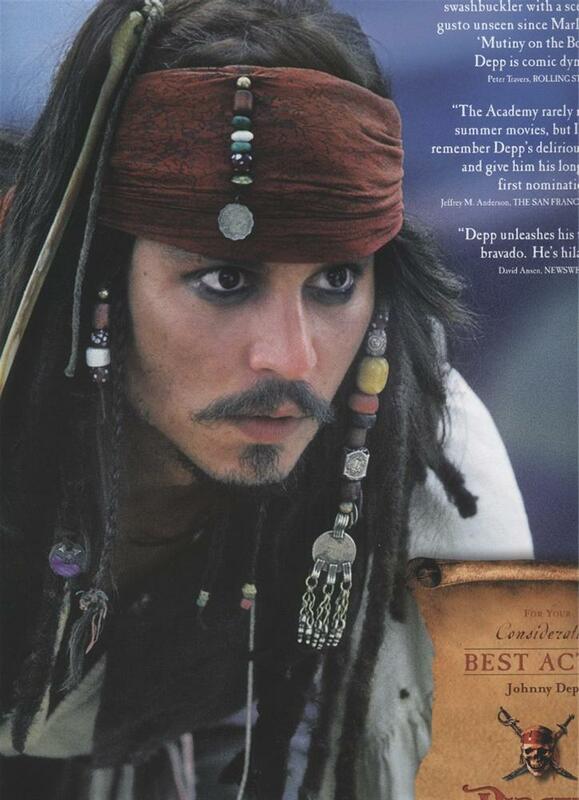 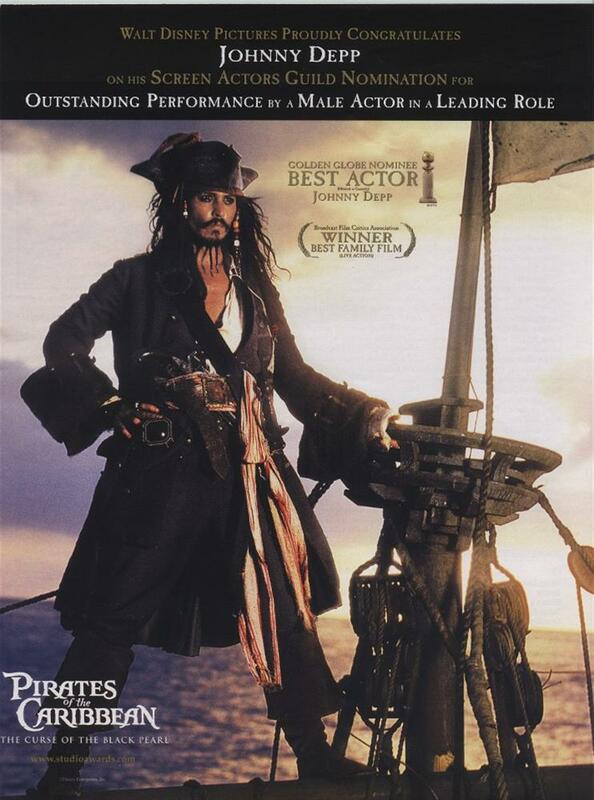 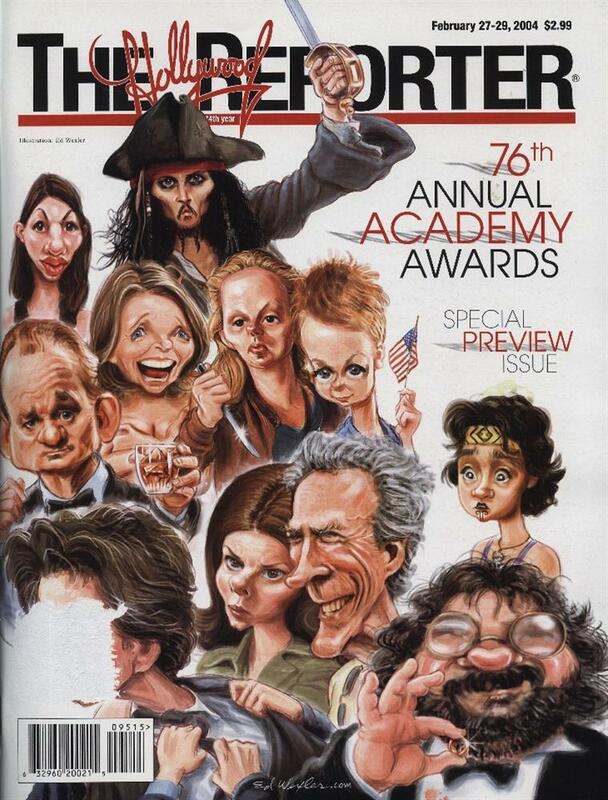 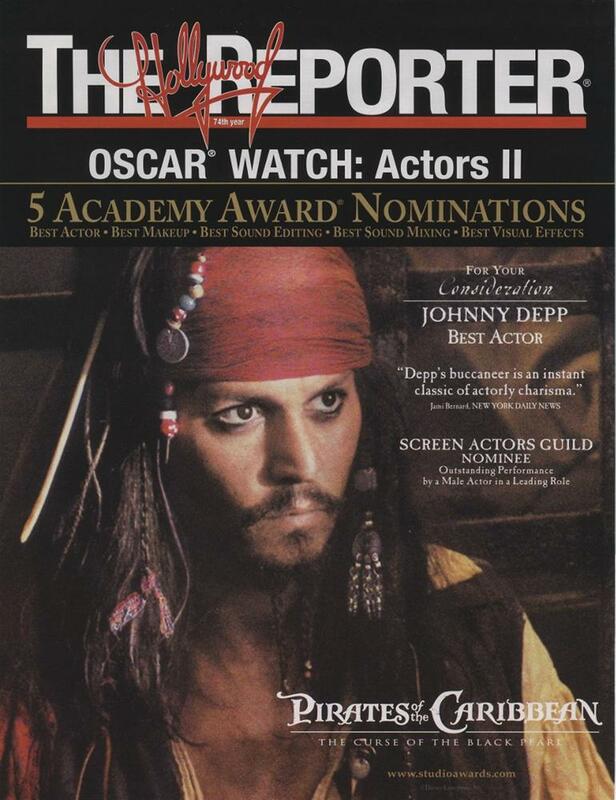 Virtually all of these ads honor Johnnys extraordinary performance as Captain Jack Sparrow. 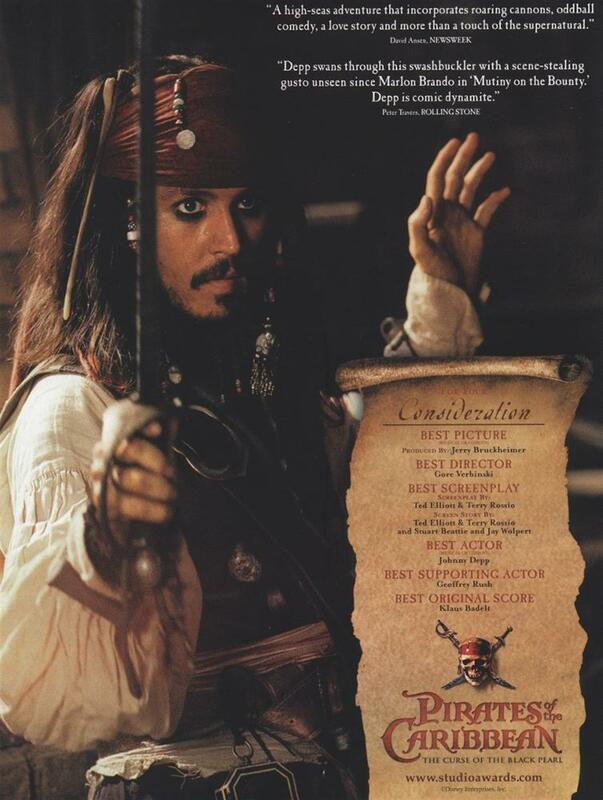 They stand as a record of his remarkable achievement, and thanks to Sleepys Treasure Chest, they will not be lost from memory.